Drum Corps International seeks a qualified full-time Manager of Event Operations for its Indianapolis headquarters. The individual in this position will manage the pre-event planning for select Drum Corps International Tour events and the DCI World Championships. This position oversees day-of-event management and all aspects of the event operations. Depending on event staffing, this may include but is not limited to the coordination of volunteer recruiting and training, working with local organizing committees, and coordinating with other DCI departments including ticketing, operations and marketing to create a seamless delivery of event services. 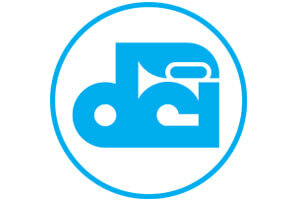 Drum Corps International, Inc. (DCI) has operated for more than 40 years as a non-profit sanctioning association and event promotions organization focused on servicing the world's most elite and exclusive marching musical organizations — commonly known as competitive drum and bugle corps. The worldwide popularity and influence of Drum Corps International and its member organizations continues to grow. As a youth activity, the world of competitive drum and bugle corps is an intense, choreographed musical experience staged on football stadium fields by students achieving high levels of excellence in performance. Through the drum and bugle corps experience, young people develop life skills including self-discipline, teamwork and leadership. Drum Corps International contracts more than 100 tour events throughout North America and directly produces several Premier Events as part of an eight-week, summer-long tour culminating with the annual World Championships, held in August each year. The performers engaged in the drum and bugle corps experience are both musicians and athletes, and their performances rival the levels of excellence achieved by Olympians. Through their achievements in marching music, Drum Corps International participants are considered to be "the standard of excellence" for high school and college marching bands throughout the United States, Europe, Asia and South Africa. Drum Corps International is a non-profit corporation, as specified under IRS 501(c)(3) and is an Equal Opportunity Employer (EOE).